In this topic I will post drawings / pictures that I make by using paint, if there is a reply to my last post in this topic and if in my point of view the picture does not fit thematically in another topic created by me. I love the Sea ! Please, forgive this double post. Please, do not comment on the fact that this is a double post. Please, comment on the contents of these posts, on the drawings that I have made. 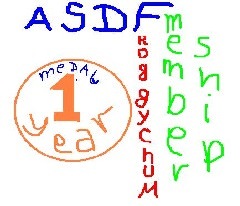 -This is barely the second time I am doing such a thing after more than 1900 posts on ASDF and 10 months since I registered. So, I almost never double post, and it can be tolerated as an exception, according to the rules. -I was ready with these works one day earlier and I waited for a reply. -I can't attach 6 files to one and the same file. -I have never made remarks to other users for double posting. -This time I really need it to post what I am planning until I remember to do it, and to do it in the appropriate place. the first one is awesome and knowing that you can do this makes me very sad you dont do stuff like it much more! they are all three quite interesting but nothing jumps out at me. I asked Sir Atomtengeralattjaro to forgive me for making this double post as an exception, and his response was "Sure, that's fine". I thank him for this. Froggychum, thank you for excepting and forgiving that double post. Froggy is forgiving, he is good. Now I am posting other paintings, made by me. I made them before your warning about orange and yellow but I will try to have in mind for my next pieces of art. I am grateful to you for commenting. i like them being different, but still not uber great since you've made a few differs lately. also the first one is pretty good to me. Froggychum and Ml , thank you for the nice comments! These double post and triple post are legalized. The big boss of ASDF has just told in the topic that multi posting in this section is allowed when the new post (without saying anything about the first one) contain new art. Today I made new paintings. I made some paintings / pictures of the sea, because I love the Sea.